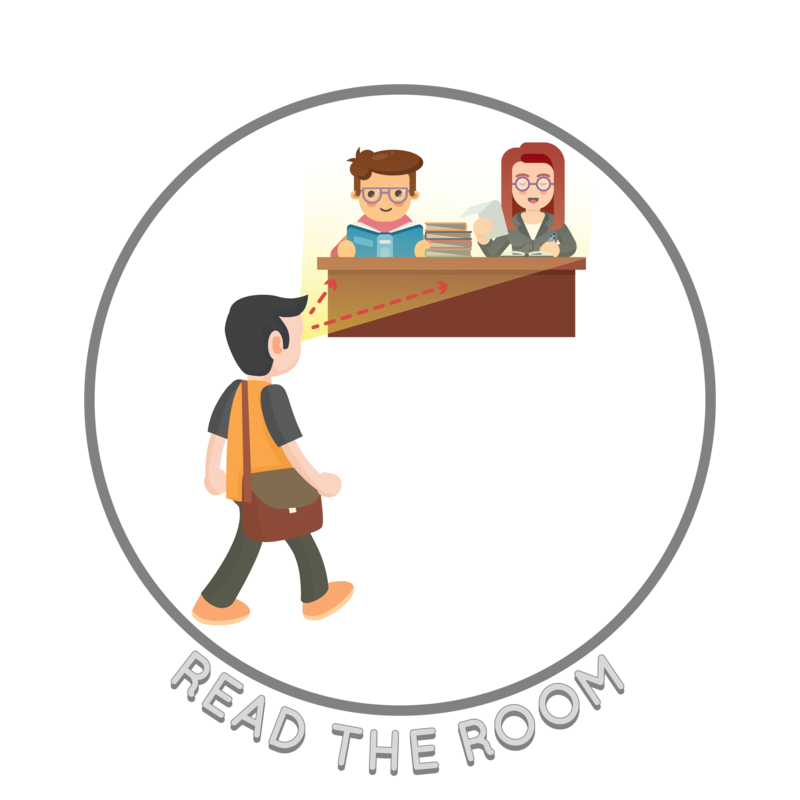 Reading the Room is a tool to help students know what to do in any given situation. Observing the room and the people in it will help students figure out how to act appropriately. We teach our students to look around, observe others, and listen so that they are able to decide whether it’s a good time to talk, ask questions, or physically move around the room. Students will learn how to adjust their behavior based on where they are and what’s happening at that moment. We focus on asking the following questions: Who is in the room? What do they have? What time is it? What do we usually do now? How can I act appropriately?